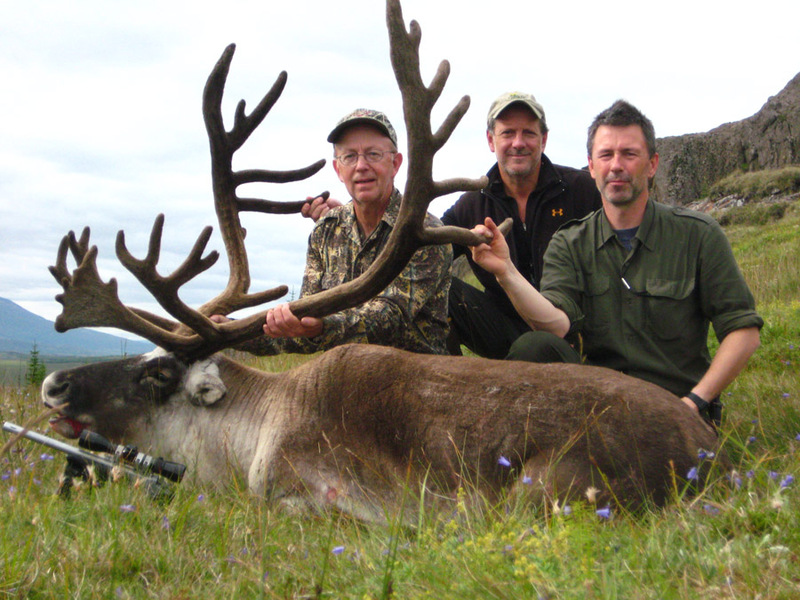 Reindeer hunting in Iceland is a unique experience. 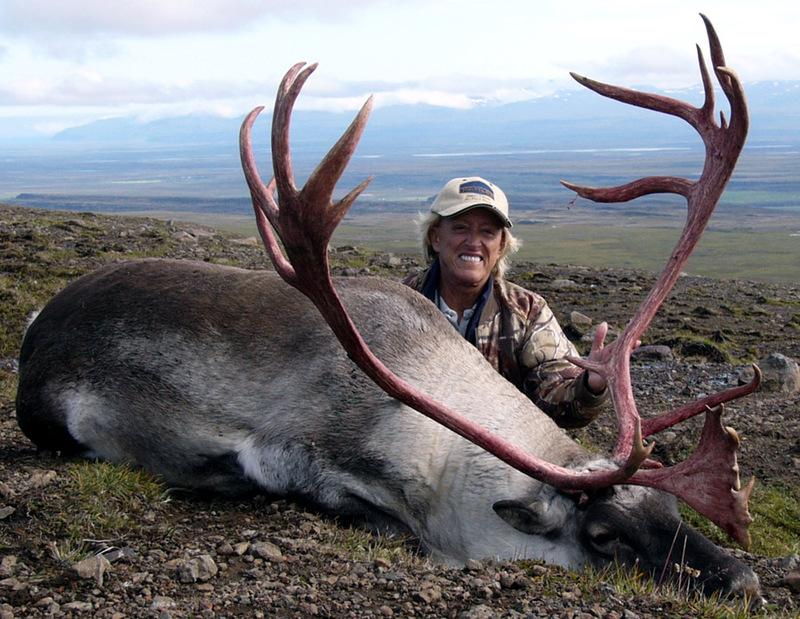 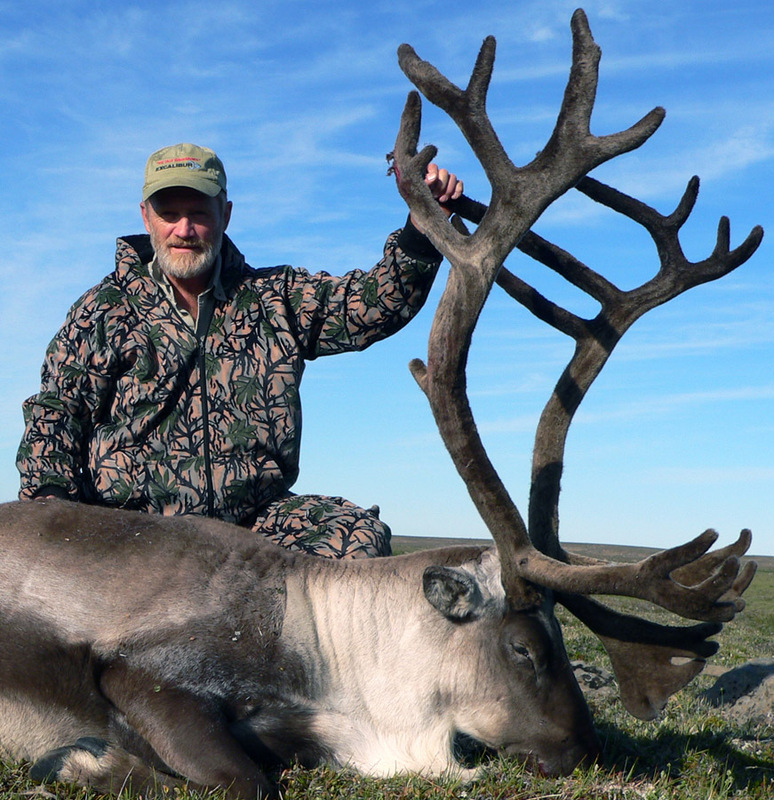 It differs from the Caribou hunts of North–America, as there is no migration. 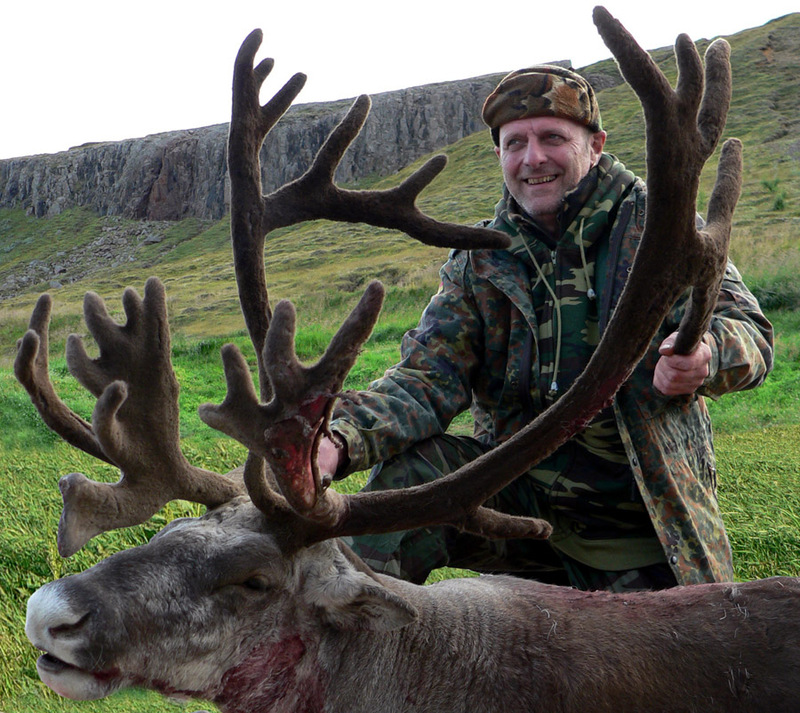 Instead there are 9 defined hunting areas in East Iceland. 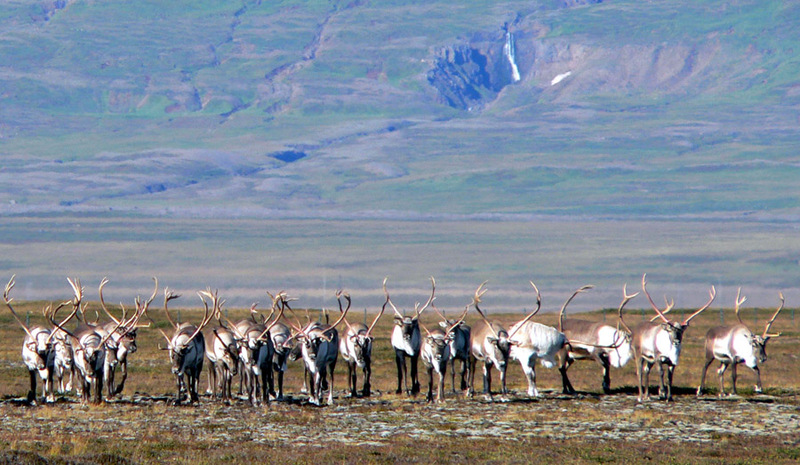 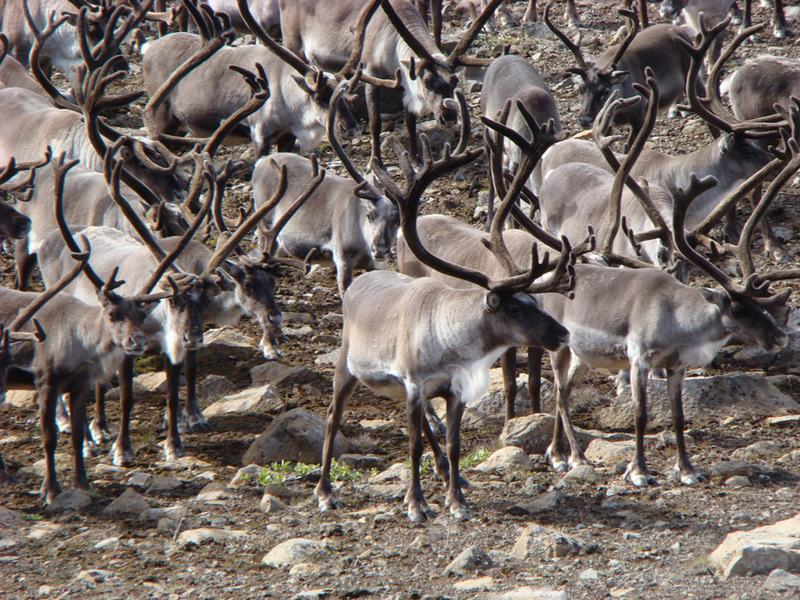 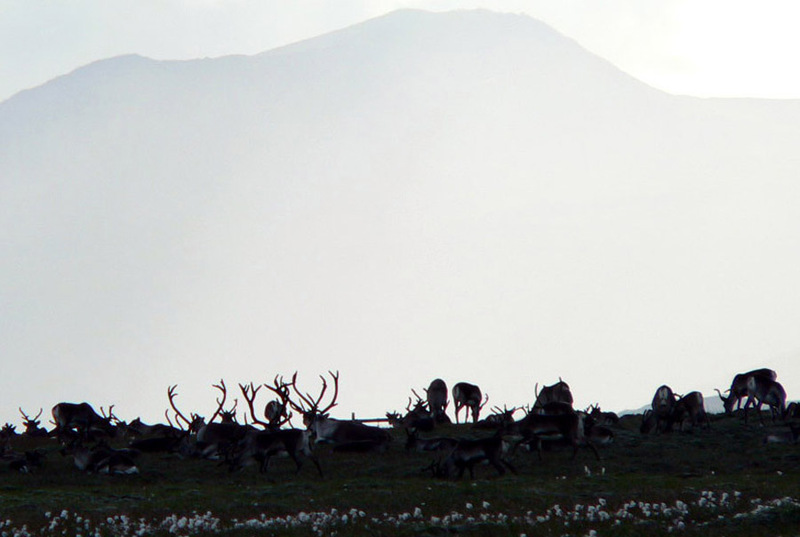 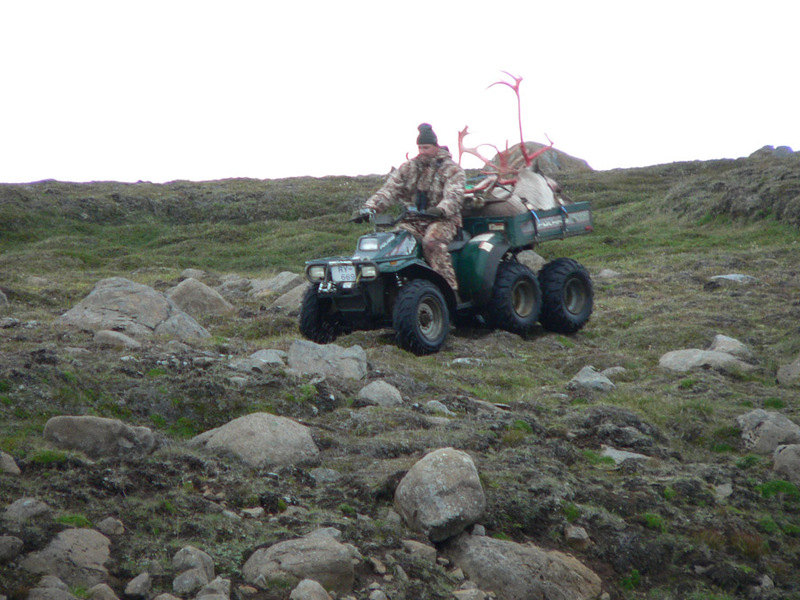 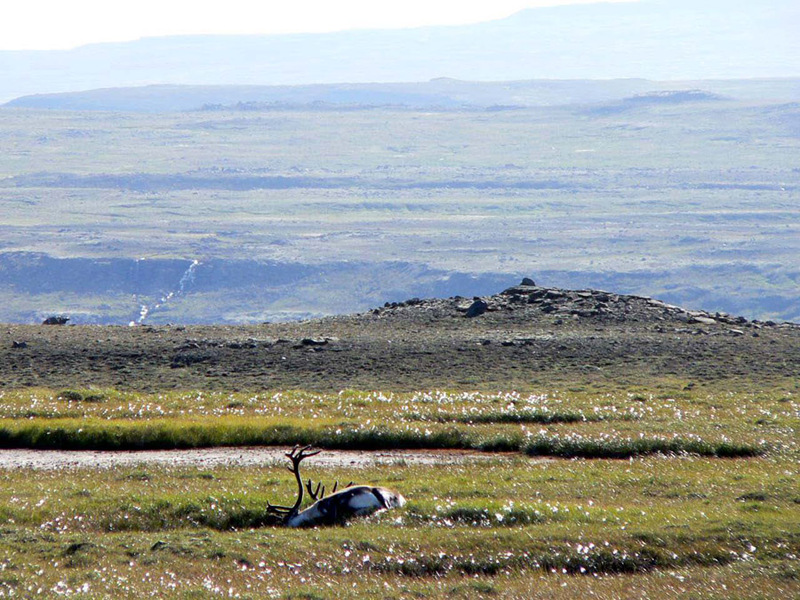 We mainly operate hunting in area 1, 2 and 6, where over 50% of the total Reindeer population of 7000 animals roam. 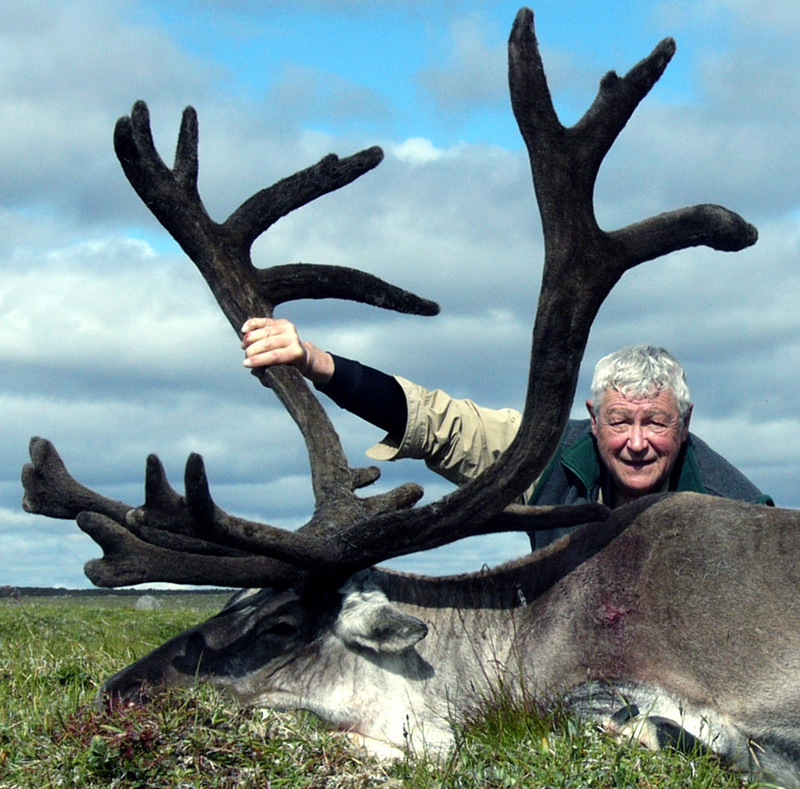 There have never been any domesticated Reindeer in Iceland. 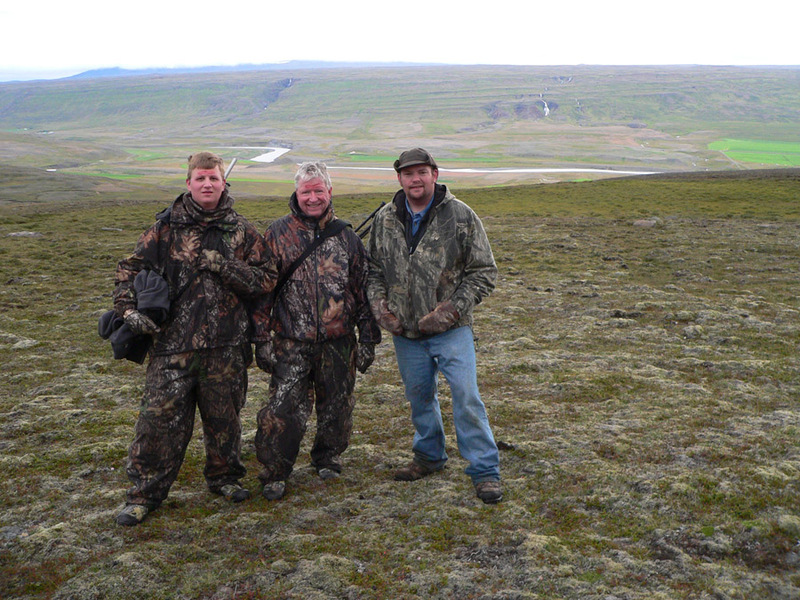 We are hunting wild and free roaming animals. 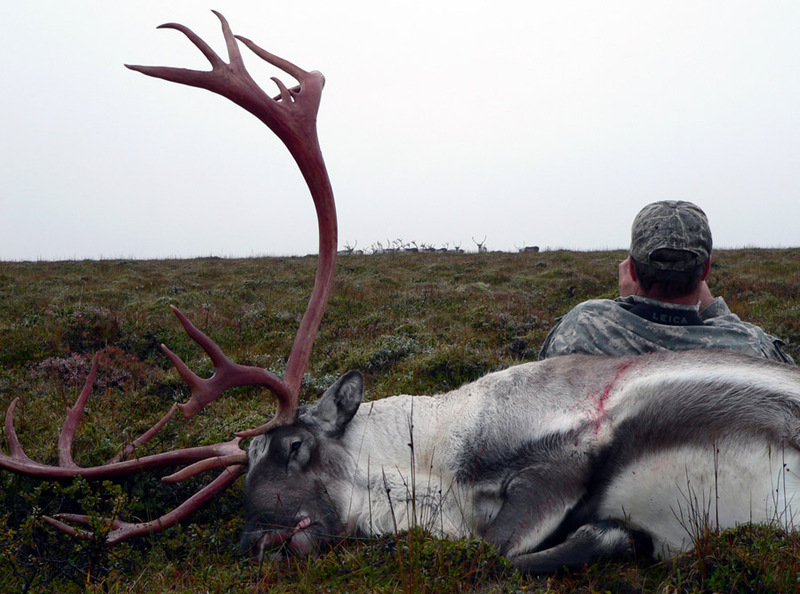 There are around 1200 tags issued yearly. 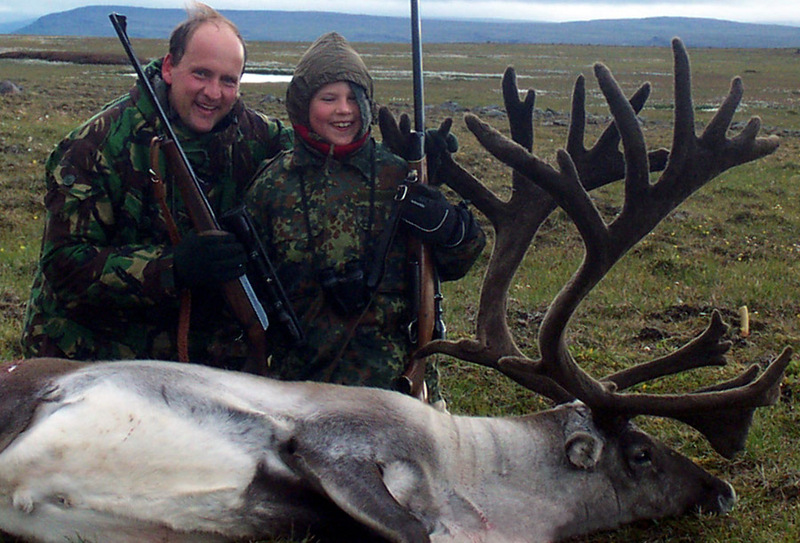 Most of them go to local hunters, but foreign hunters have the same opportunity as Icelandic hunters to draw a tag. 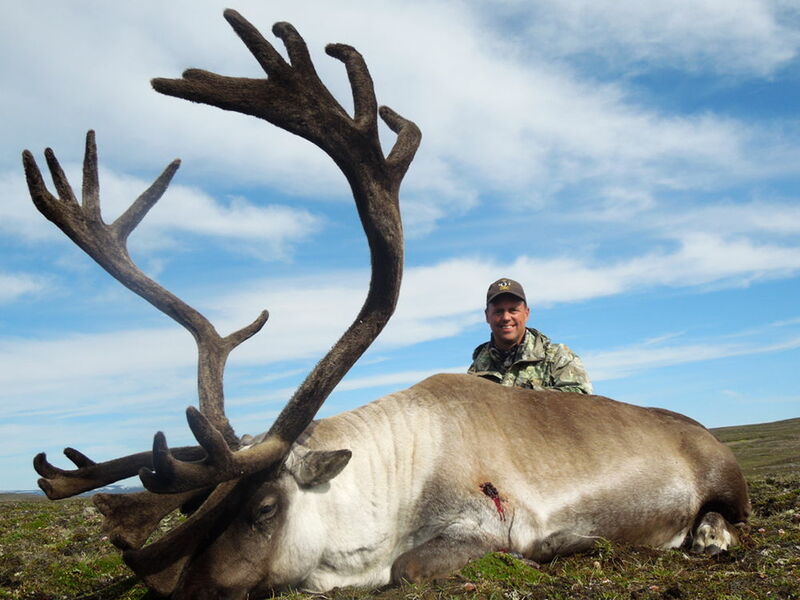 Every year a few foreign hunters enjoy the privilege of hunting these wild and majestic animals in our rugged country, teaming with hot springs, vulcanos and glaciers. 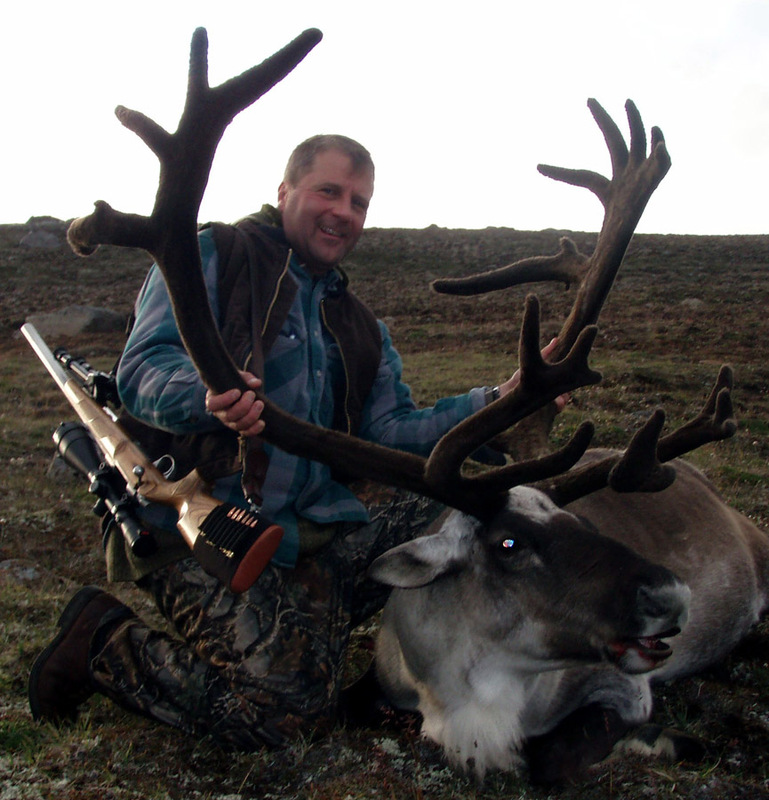 Our clients hold 50% of the total entries of European Reindeer (including those pending) in the SCI Record Book. 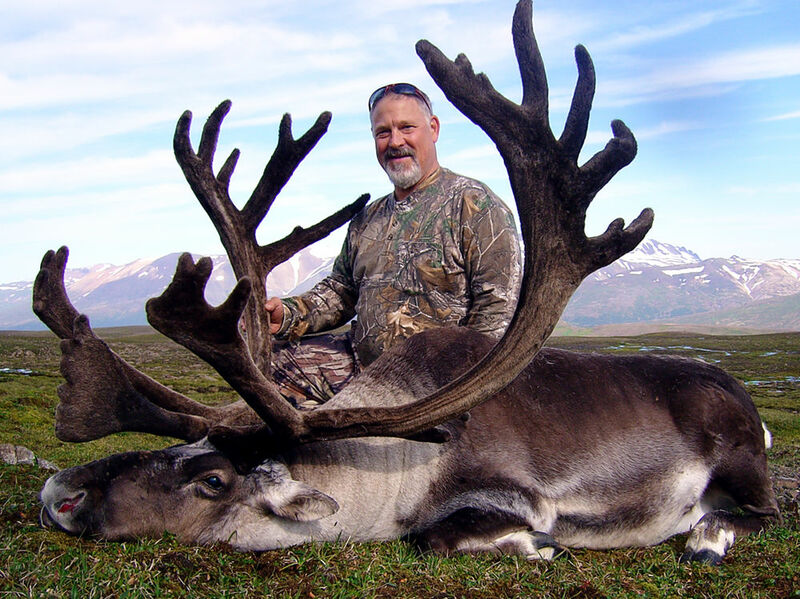 Most of these are Gold Medal Trophies. 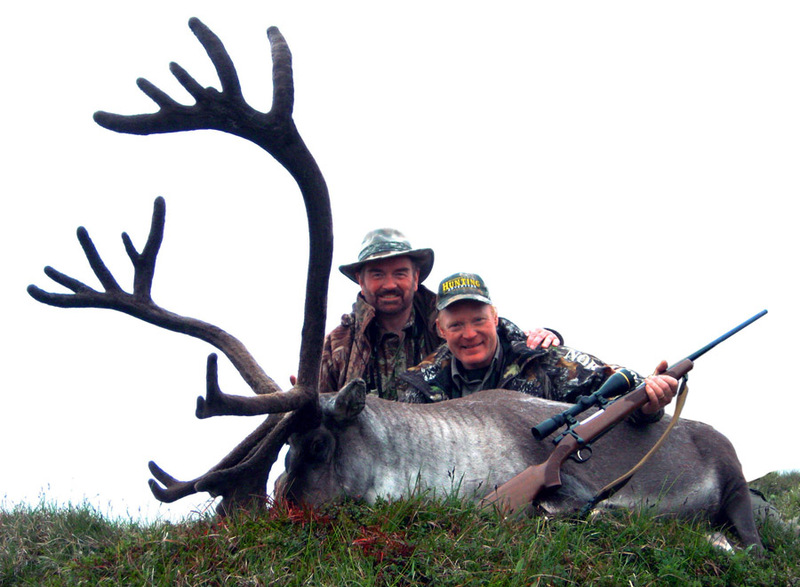 Our clients have enjoyed 100% success, since we started our business in 1994. 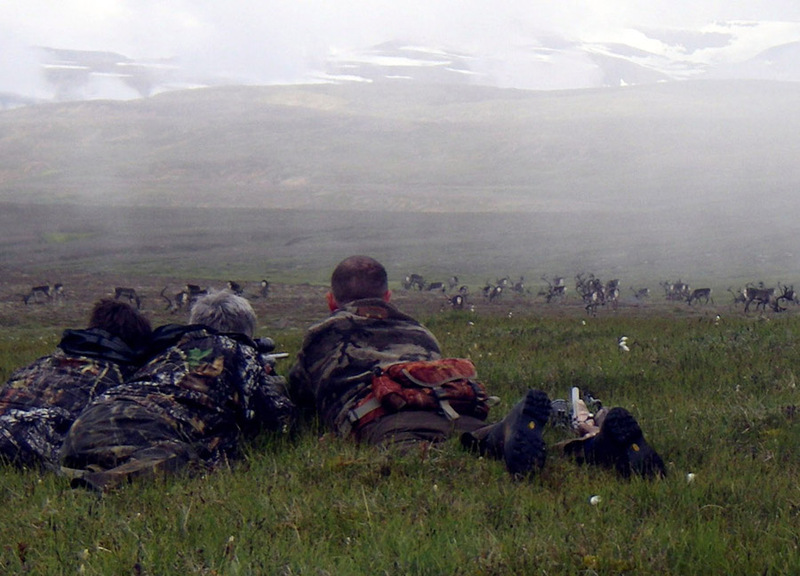 Our standard offer is 5-6 days trip with 3-4 hunting days, depending on the number of hunters in the group. 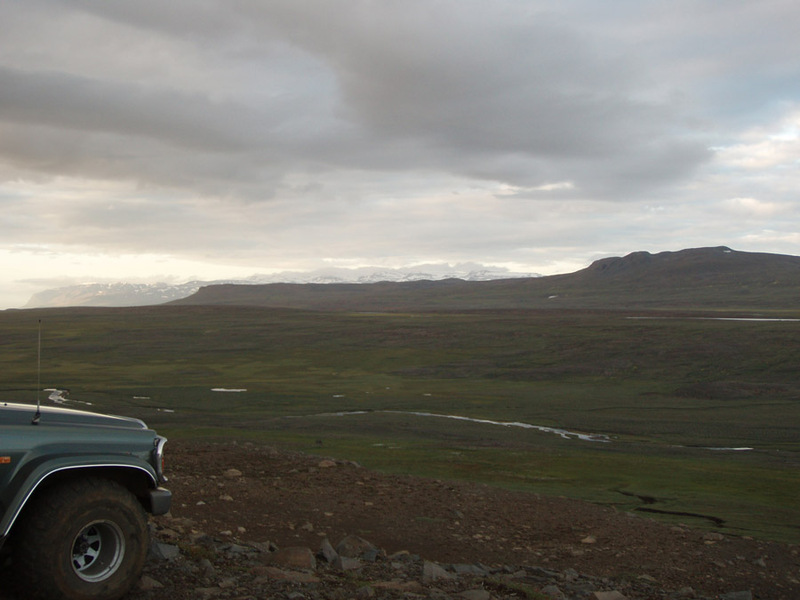 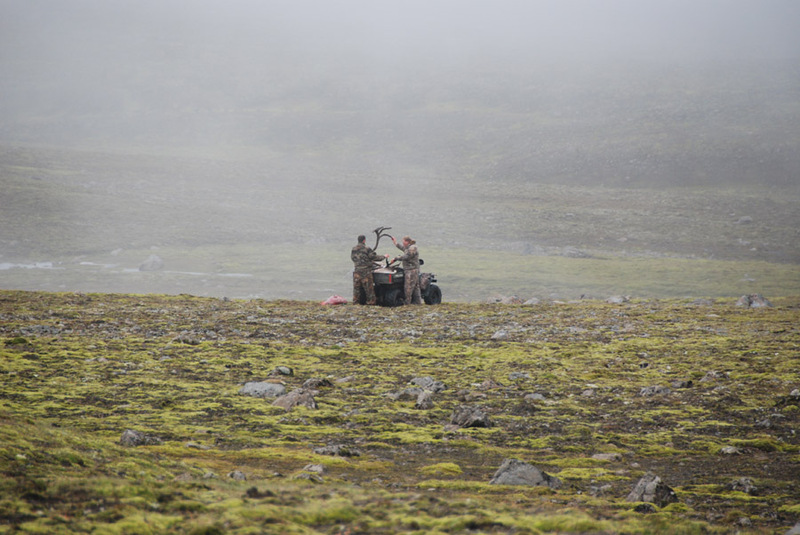 The hunt takes place in the best hunting areas in East Iceland. 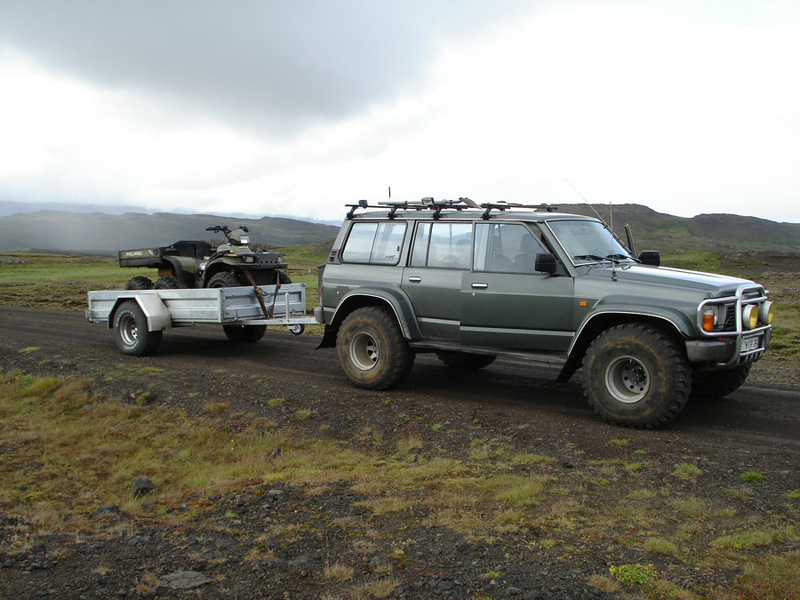 We can custom design trips according to our client’s wishes. 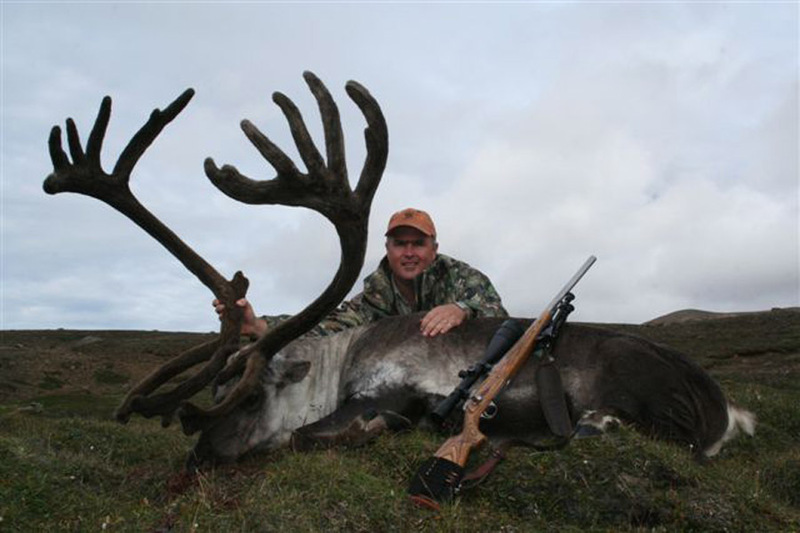 The Icelandic Reindeer population has prospered in recent years, and has reached a record high number of 7000 animals. 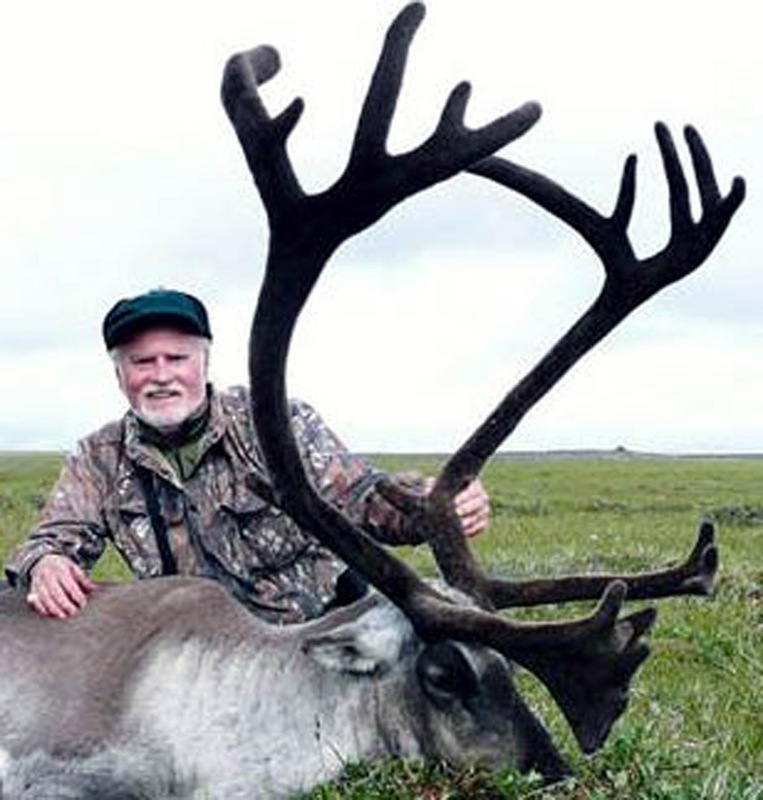 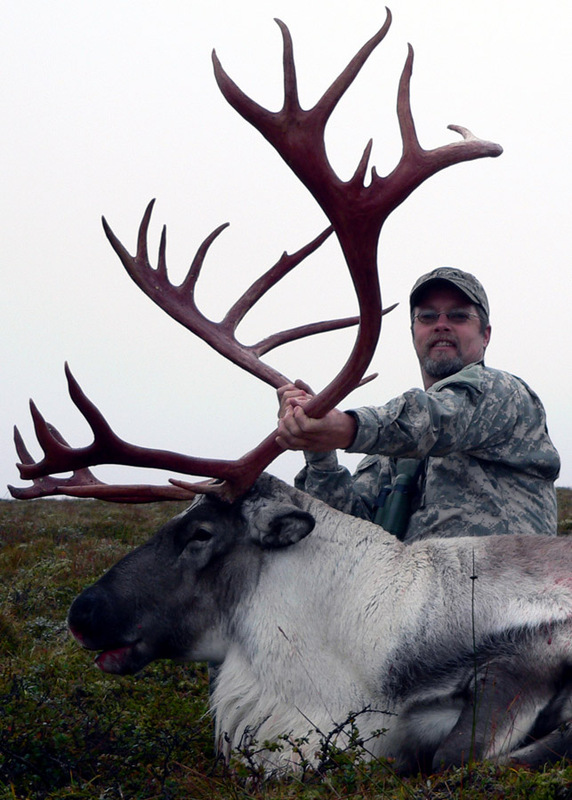 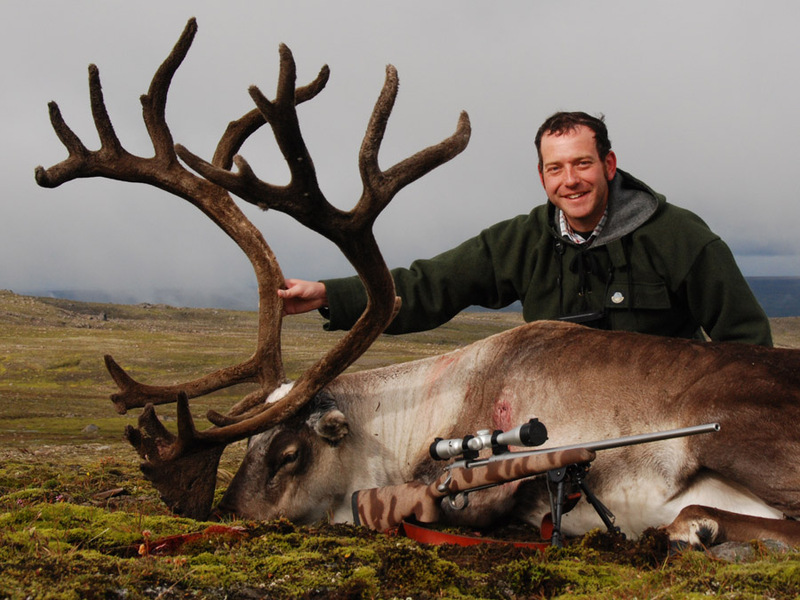 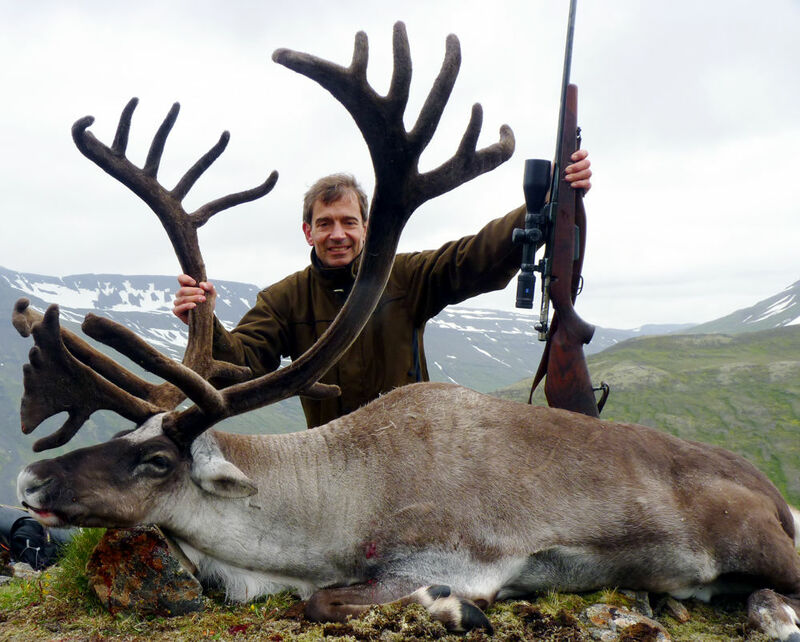 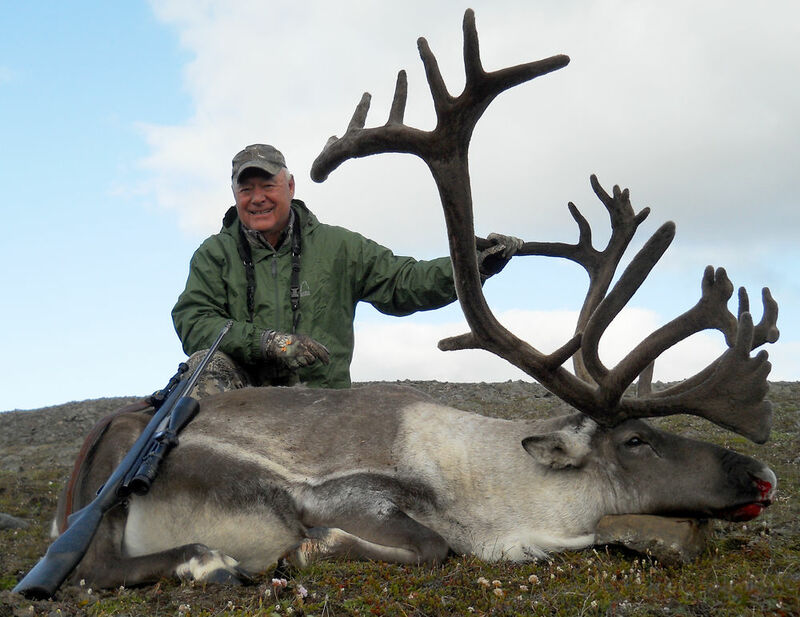 But hunting Reindeer in Iceland has become more and more popular by local as well as international hunters. 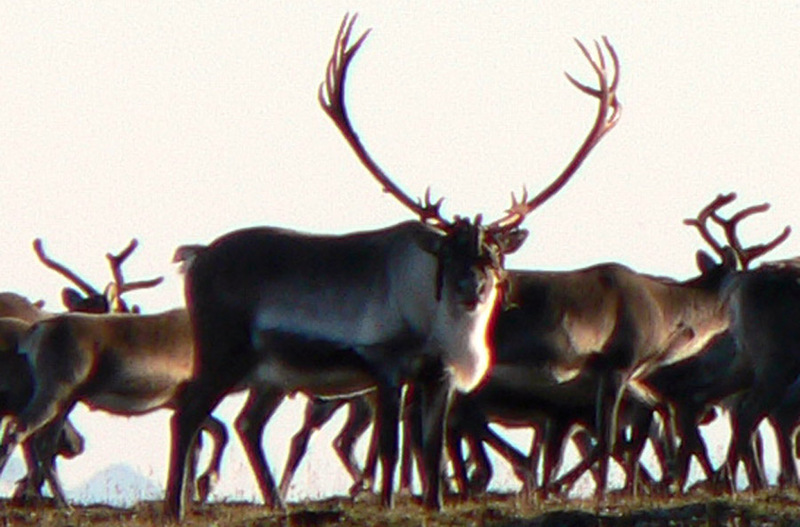 We can apply for Reindeer tags until February 10th each year. 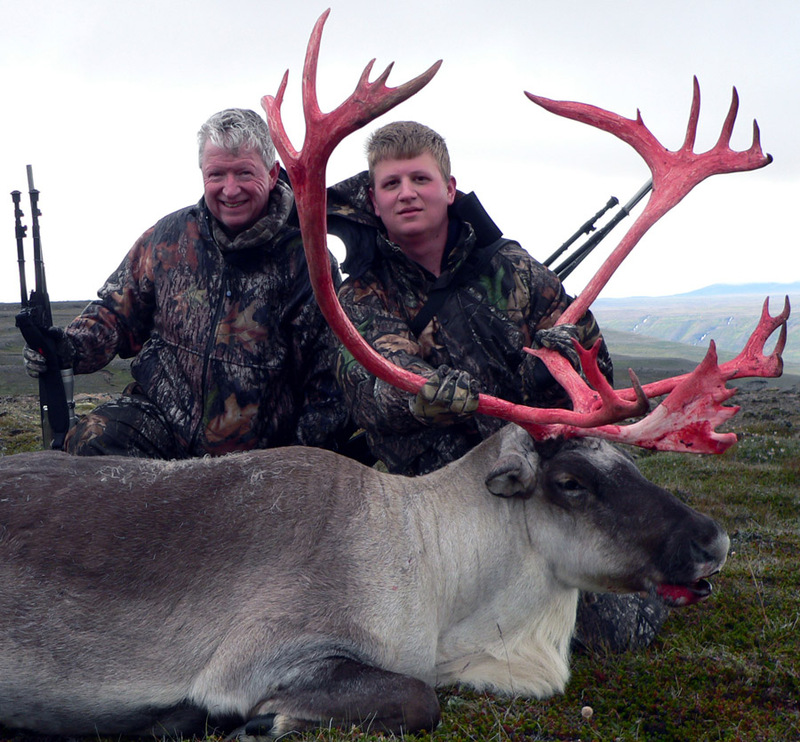 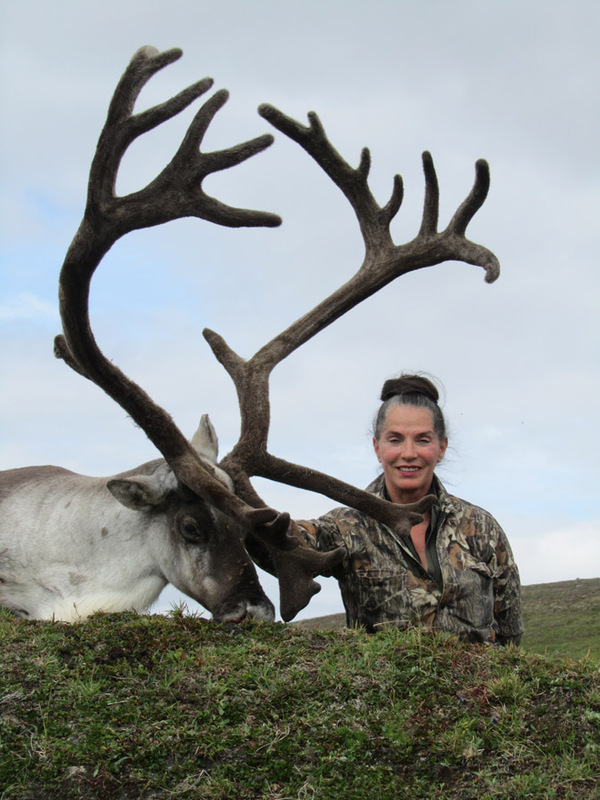 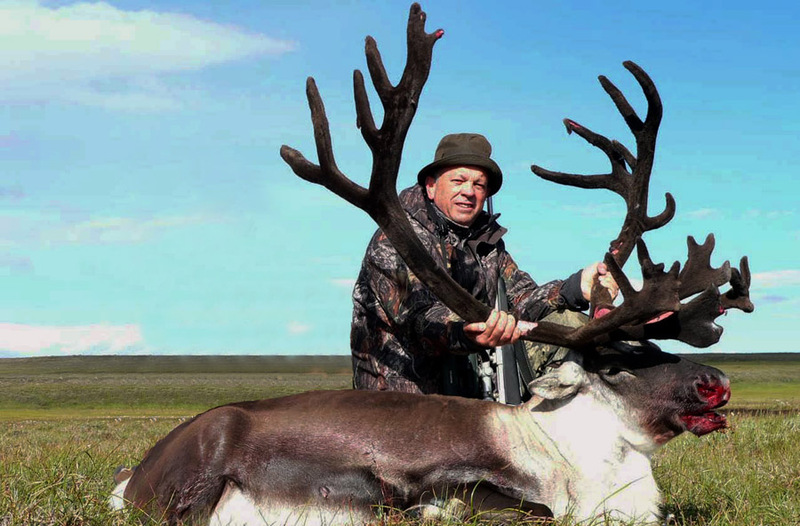 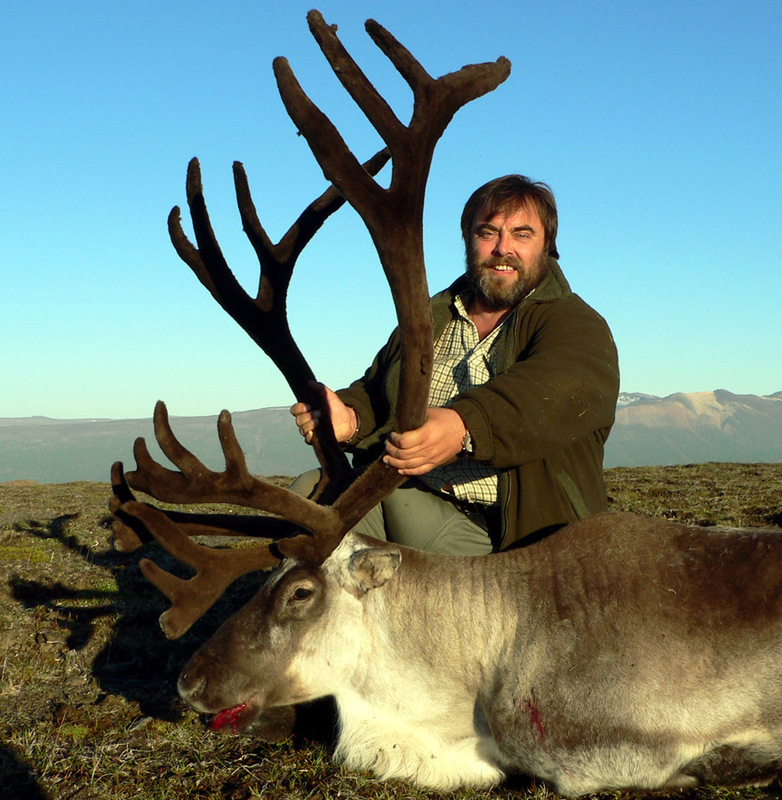 The Reindeer hunting season is July 15th – Sept 15th. 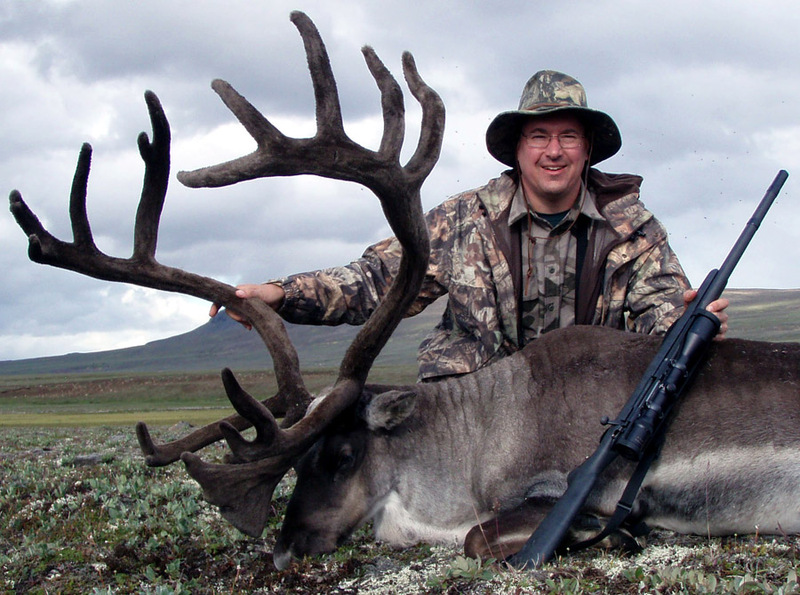 The best hunting period is from August 1st to September 5th. 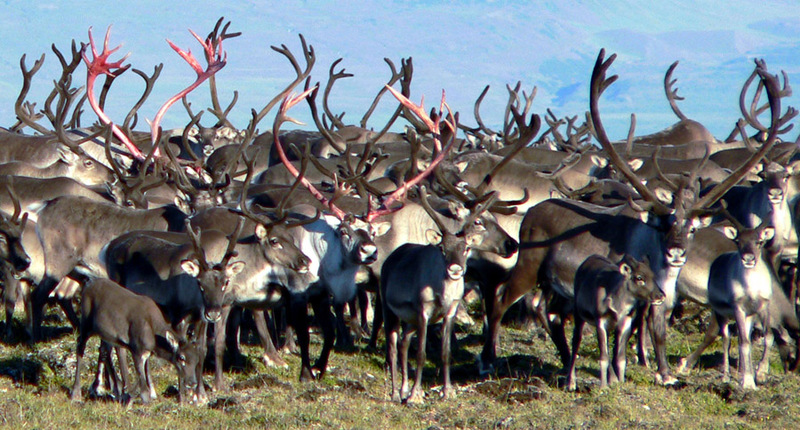 The Reindeer antlers are in velvet until August 10th-15th. 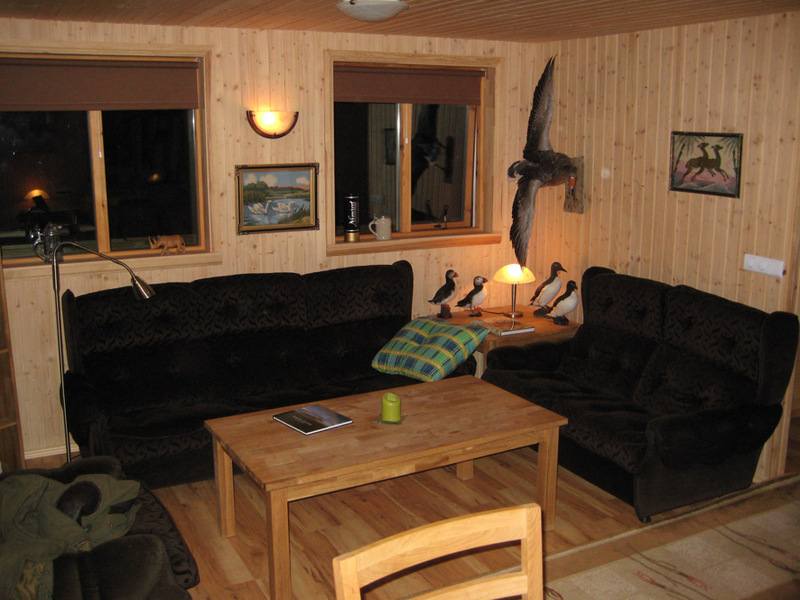 Accommodation during the hunt is in a comfortable lodge with all modern amenities, such as hot and cold water, shower, 2 toilets, etc. 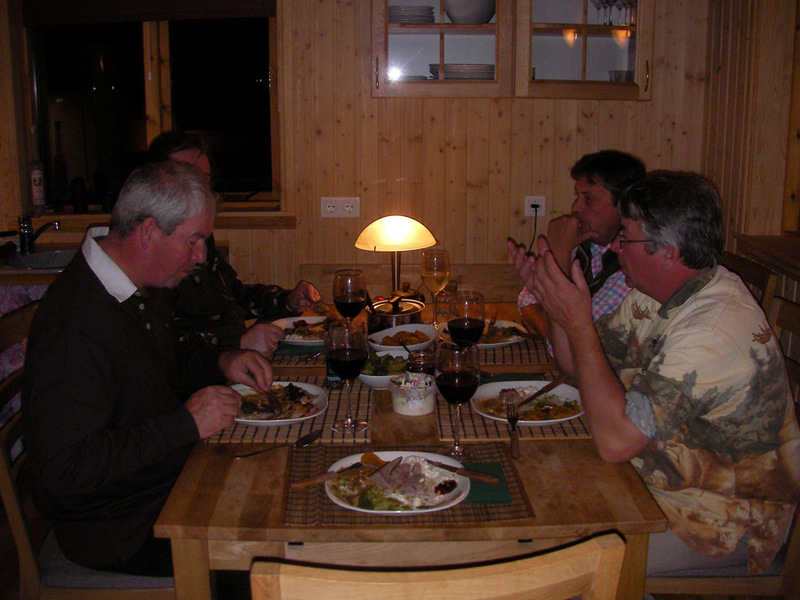 We serve 3 meals per day (richly provided lunch box in the mountains).